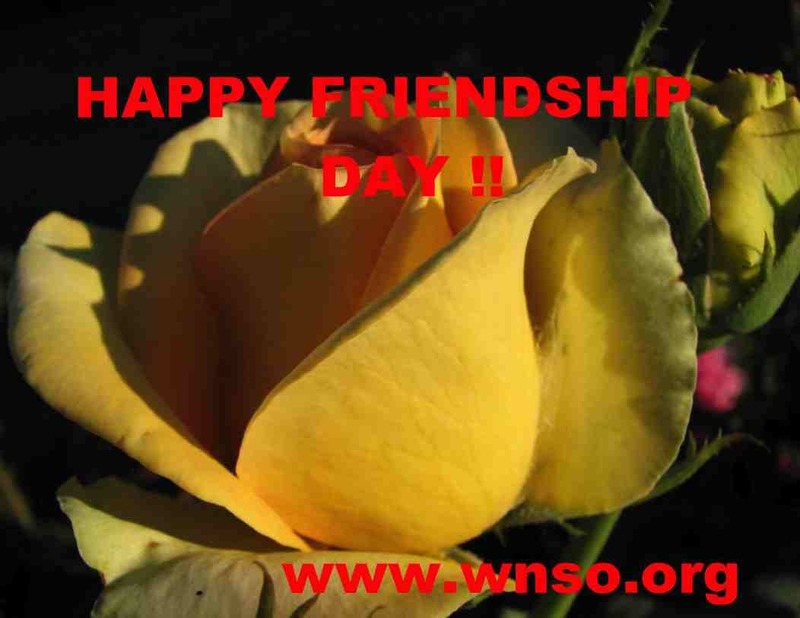 August 2 is International Friendship Day for 2009. It's time to recognise our all friends and their contribution to WNSO and Chautari and offcourse, our friend's contribution in our life too. Friendship helps to bring peace and positivity to the globe - A Great Reason To Celebrate! Friendship Day occours on the first Sunday of August only once a year. So friends, let's make the most of it. Friends come in many shapes, sizes and guises, such as: school friends, work colleagues, siblings, partners, parents, pets and neighbours. Pull out all the stops and let your friends know they are truly appreciated. In the Old Testament, Abraham is called the “friend of God” because of the intimacy of his relations. God speaks to Moses face to face “as a man…unto his friend” (Ex 33:11). The romantic friendship of Ruth and Naomi, the devotion of the subordinate Hushai for David, or the mutual relation between David and Jonathan - the Old Testament is replete with these interesting tales of friends and friendship. In the famous Hindu epic ‘Mahabharata’, Lord Krishna demonstrates the many colors of friendship - affection, romance, brotherhood, protection, guidance, intimacy and even teasing. Friendship is all about these and much more. Islam has placed tremendous importance on the aspect of camaraderie and friendship. Companionship is crucial as it wards off loneliness and distress. This sense of companionship holds a lot of significance in any relationship. Today, we see intense disputes and altercations arising even between parents and children and as well as among siblings . This is chiefly due to the fact that, though their relationship is marked with blood ties, the all-important sentiments of camaraderie and fellowship are sorely missing. 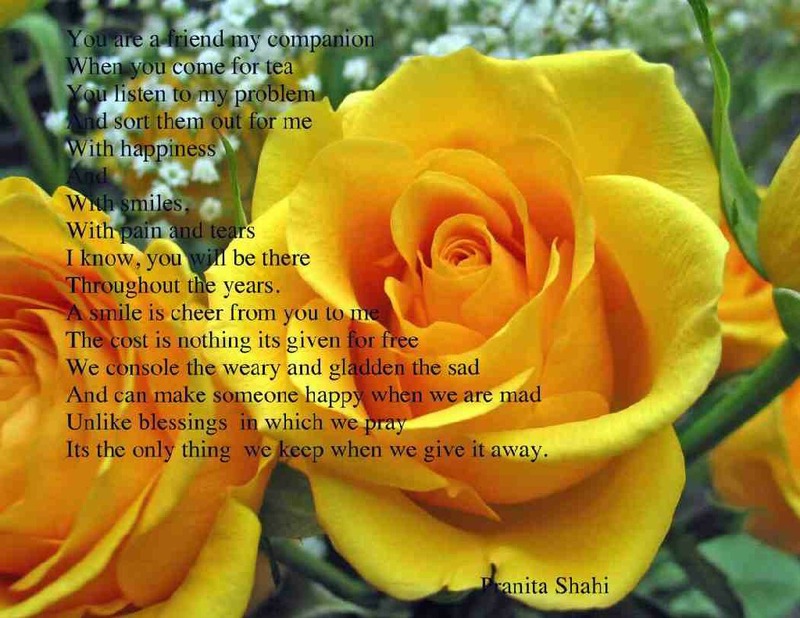 Our experience will tell us that friendship often takes precedence over blood relations. Man tends to heed his friends more than his relatives. He trusts his companions more than his own kin. The youth today, confide in their friends, while being discreet with their parents. Happy friendship day to all Nepalese students all over the world!!! We keep our friends as misers do their treasure, because, of all the things granted us by wisdom, none is greater or better than friendship. Friendship is a great bind and what makes this relationship so beautiful is the fact that over a period of time it grows deeper and till the end of your life you are surrounded by the beautiful company of your friends. From the day you started to walk , when you went to school, your college days, the day you married your friends always supported you stood by you in times of need. Friendship is believed to be the foundation of many relationship for its with friends that you can freely interact with your friends share your thoughts and unfulfilled desires. As fast as we became friends we come to notice how much faster we can lose each other. How much more friends you become friends with,even the ones you never think you will. Remember the good times we all have together because time and reality is moving fast and the reality is some of us will never see each other again and some will but even though we'll all change we'll all remember the times we had together and all the times we said best friend still the end. Friendship is a very special relationship. No man can be happy without a friend, nor be sure of his friend till he is unhappy. No one ever won an argument that lost a friend. So, it is better in times of need to have a friend rather than money. We always keep our friendships in repair. Life is partly what we make it, and partly what it is made by the friends we choose. Wish you all...Happy Friendship Day.